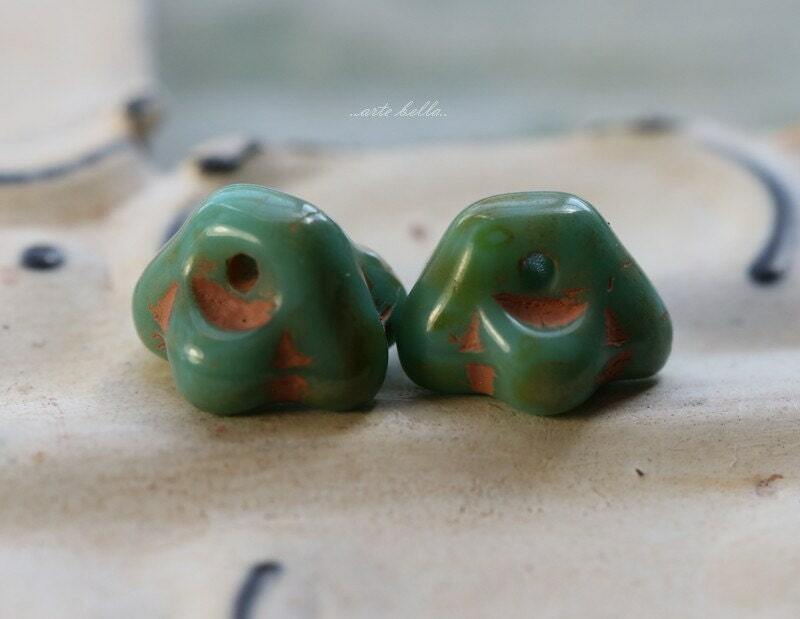 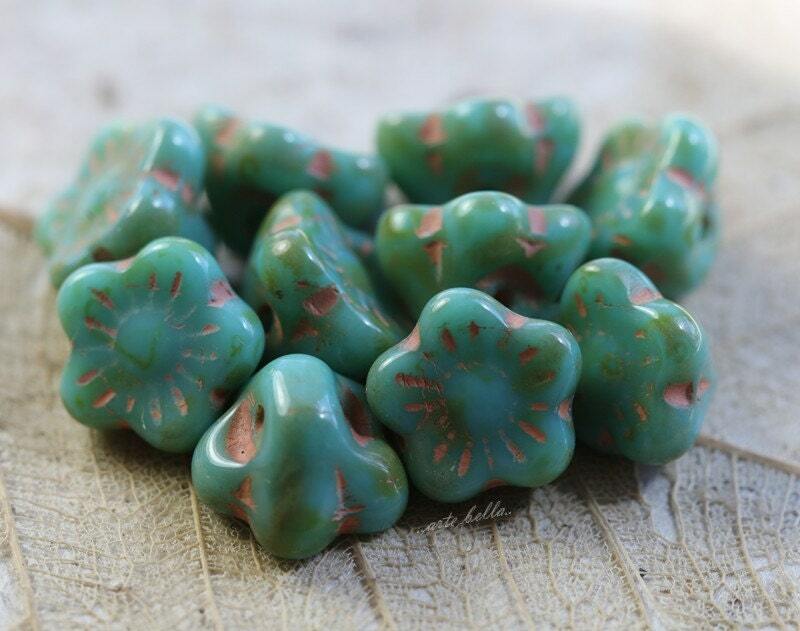 Five petaled opaque turquoise petite button beads with an earthy Picasso finish. 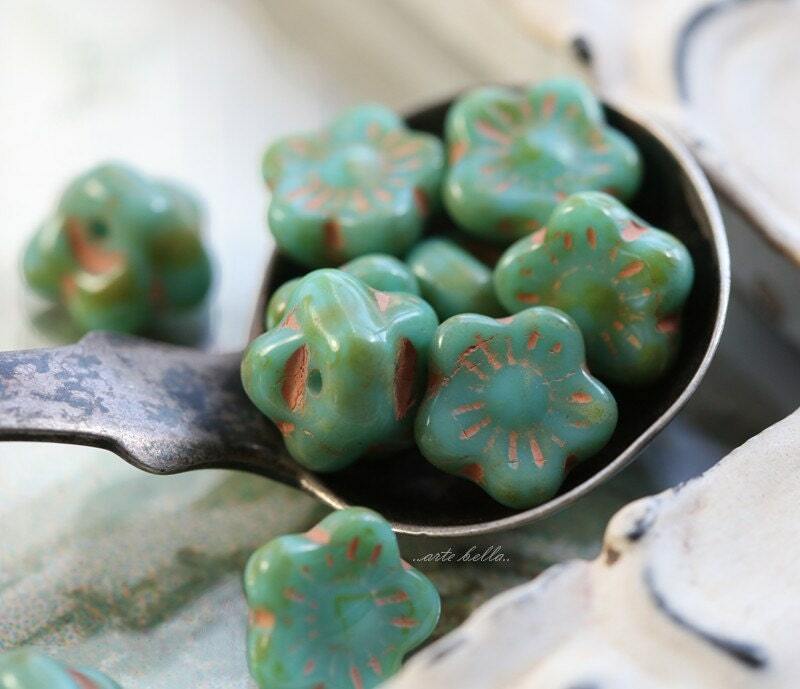 Beautiful buttons, just what I needed for my project! 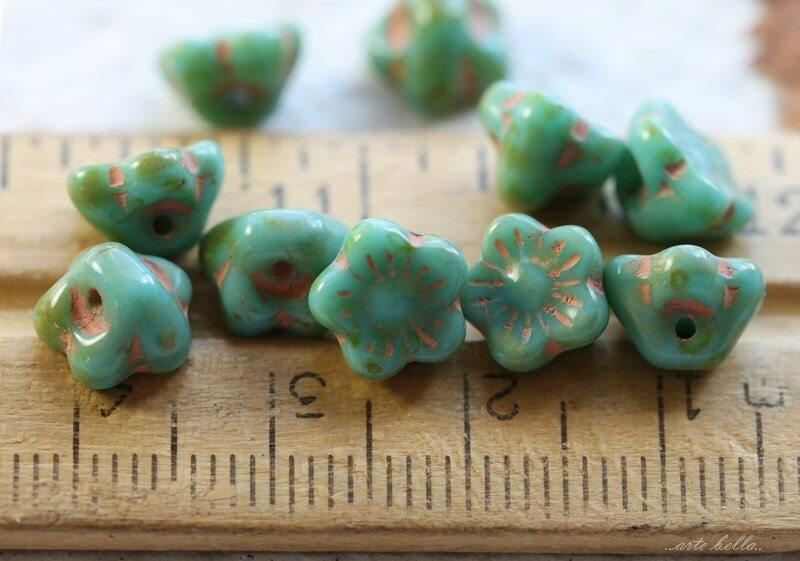 Very cute little button beads! 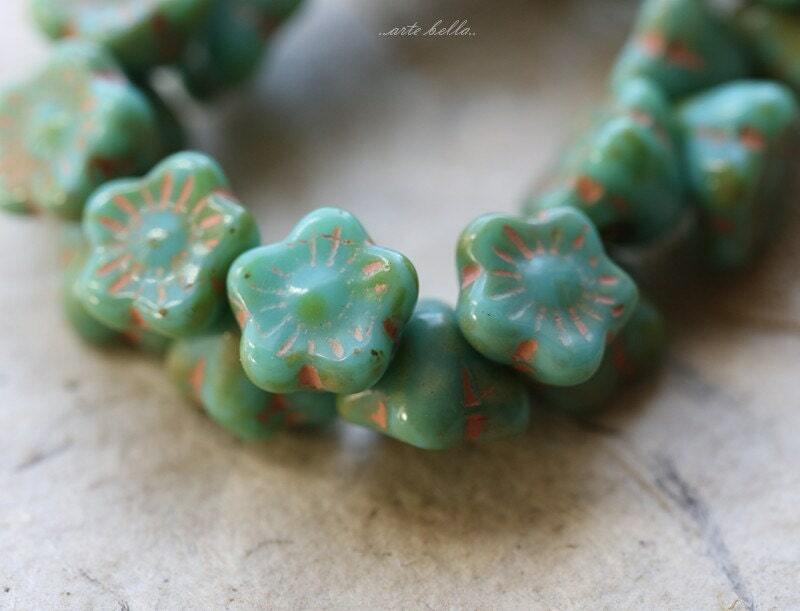 So dainty, these are so pretty!